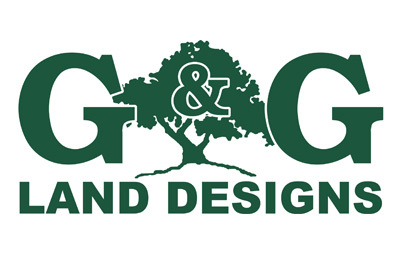 For more than 20 years, the experienced landscaping professionals at G&G Land Designs have assisted Dayton area residents with everything they need to renovate their properties. We offer state-of-the-art landscape design and installation, but offer a variety of other home improvements as well. Our landscapers provide specialized services like paver patios, driveways and walks, the installation of water features and outdoor fire pits. We improve the value of your property with attractive retaining walls, outdoor kitchens, pergolas and more. We even offer full lawn services to the residents of Beavercreek, Centerville, Springfield and the surrounding Dayton area. (937) 673-4726 | Contact Us Today! 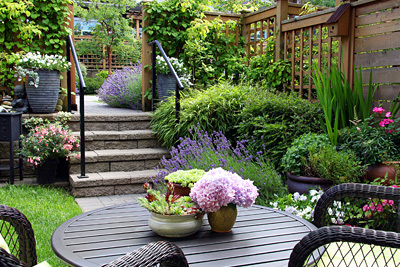 Take charge of your yard with an attractive landscape design from G&G Land Designs. We have more than 25 years experience in creating attractive and affordable landscaping for residents all over Southwestern Ohio. 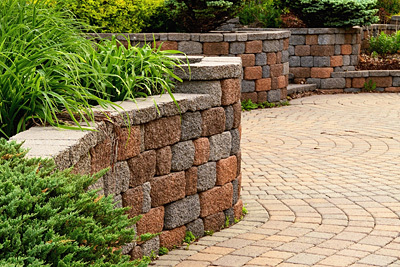 Add inspiration to your landscaping with breathtaking retaining walls that provide both beauty, as well as function. G&G landscapers will work with you from concept through completion to deliver the results you dream about. Gather your family and friends outdoors with a new outdoor fire pit or fireplace. Keep your guests warm, while adding value and beauty to your home. 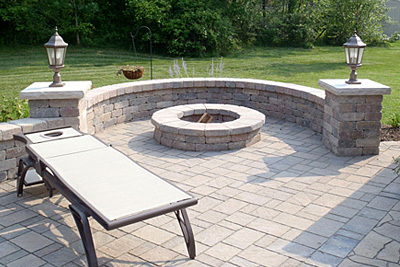 Our designers will help you bring your patio to life with a new fire pit concept! G&G Land Designs © 2018, all rights reserved. Call us today at (937) 673-4726.